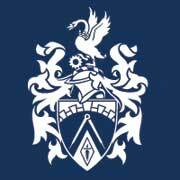 All Creative Writing students at Brunel should go along to the Careers Fair on the 31st October. This is an excellent opportunity to gather information and make contacts regarding your future careers, part-time work and placements. Apps and further details above. All Creative Writing students starting at Brunel in September 2017 were invited to submit a piece of flash fiction of no more than 500 words. This could be in any style or genre but needed to reflect upon some aspect of becoming a student at Brunel. 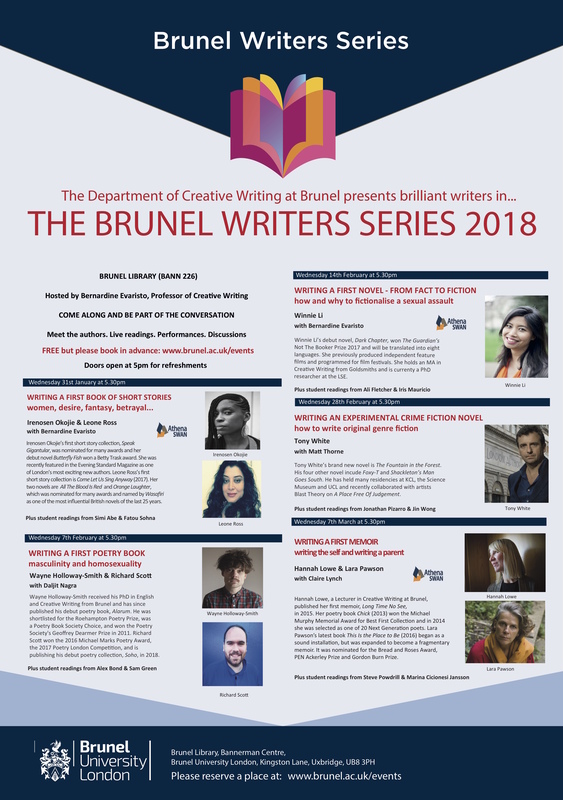 The quality of the submissions was very high but one piece in particular was felt by the judges – drawn from Brunel’s Creative Writing academic staff – to be the strongest. This was a wildly inventive and imaginative piece of writing by Shelley Green. Many congratulations to Shelley and you can read her winning entry below. His footsteps clacked as he paced up and down. Nervous, yet resolute. This was the dream. So why were they both so terrified? Clack-clack, clack-clack. Terror was not an emotion that he usually experienced. Frustrated by this, he thumped the squishy mass next to him. He felt instant regret, as the sudden flash of pain she felt sent shock waves through his environment. Once the reverberations had settled, a niggle of guilt set in, and he gently laid his antenna against her brain, sending soothing vibes through the globulous matter. Looking through the lens, he held his breath as together they checked through the contents of her backpack, again. Laptop, dictaphone, pens, notepads, all there. They both checked the time. Clack-clack, clack-clack. She hung the ID around her neck, and they left the house. He chuckled at the idea of the ID. If only she knew that two of them were taking this course, in the body of one. She was purely the host, to his superior Nunkai brain. To look at, he was no more than a bug, something to be trodden on, or swatted away. His brain deserved better than the body it had been given. He had a dream, and if this was the only way he could achieve it, then so be it. The Hosting scheme had given him a route into the course he craved. Brunel was the only University to be taking part in the Host-Nunkai Implantation Trial, and it was hugely oversubscribed. It had been purely down to choosing a host in a mature body that he had had any chance at all at gaining entry. The school leavers had been snapped up in an instant. He had all but given up, when in March, her profile had appeared in the eVision system. His chance had finally arrived. They were on Cleveland Road. Almost there. Clack-clack, clack-clack. He paced furiously, his antennae twitching. It was so close now. He wondered, not for the first time, what the lecturers would be like. He had the equipment for the two-tier teaching system – hearing the human and recording the Nunkai lecturer to be listened to when the host slept. The Nunkai didn’t have a use for sleep, which was the reason they were the only species invited on to the Hosting Scheme. He felt he had an advantage over some of his exchange colleagues, having agreed to be implanted within two days of his host being confirmed. The additional three months had allowed him to become almost fluent in English, meaning he was being truly dually taught whilst on his course. From the social media he had seen so far, most of his peers were intending on using the human lectures to… what was the English word for it? Ah yes. Doss. Dossing was not on his agenda. He looked through her lens. The Antonin Artaud building was right ahead. Clack-clack, clack-clack. Together they took a deep breath, and entered the building. Shelley Green is a 30 year old with a love for music, animals and fantasy novels. This is her first (but hopefully not last!) piece of writing to be published, and she is looking forward to embarking on her Creative Writing journey at Brunel University.